You will all be happy to know that Shop Manager Poncho turned 98 last March and is still kicking, as well. 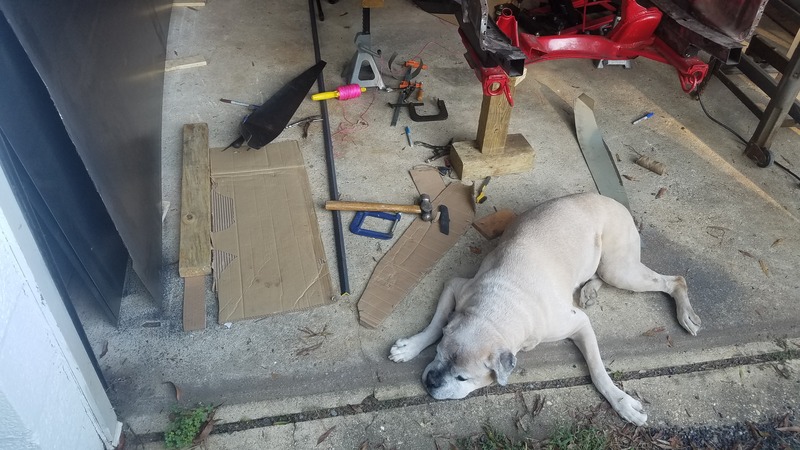 Skip to the picture of Shop Manager Poncho If you want to get right into the build updates. But I had some pretty great distractions. I was hell-bent on not being dormant on the FAQ for this long, but it happened. Life happened. It's still happening! 15 whole months without a blog entry. Work on the '02 has not stopped. However we did get into some other things during those months. But first - Benchmark abrasives is running a promo for flap discs. Just pay for shipping. Discs came in 2 days. 10 discs for 10 bucks. Anyone buying flap discs knows this is a great deal. In September 2017 I rode my first dirtbike. Instantly hooked. 4 days later I bought my first dirt bike. 2006 Honda CRF450X. Still hooked. Quite possibly the most fun I have ever had. This took up most of my weekends, so work on the BMW slowed. That October we decided to trade in the Abarth while it was still worth something and get something that is utilitarian and safe for a growing family. 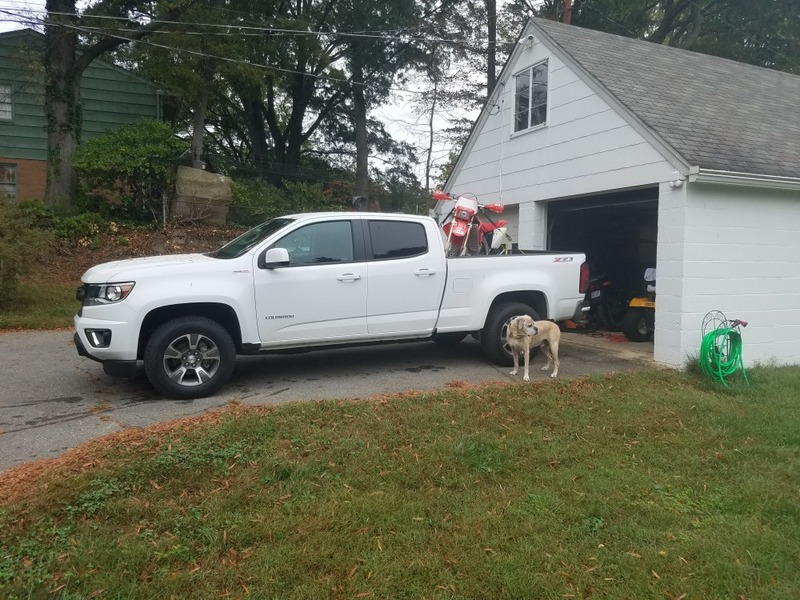 We ended up with a Colorado Z71 Duramax Diesel – to haul the dirt bike of course! (and trailers full of cars). So far I have 11,000 miles averaging 27mpg doing both. Great buy, most fuel efficient car we own and pretty comfy. 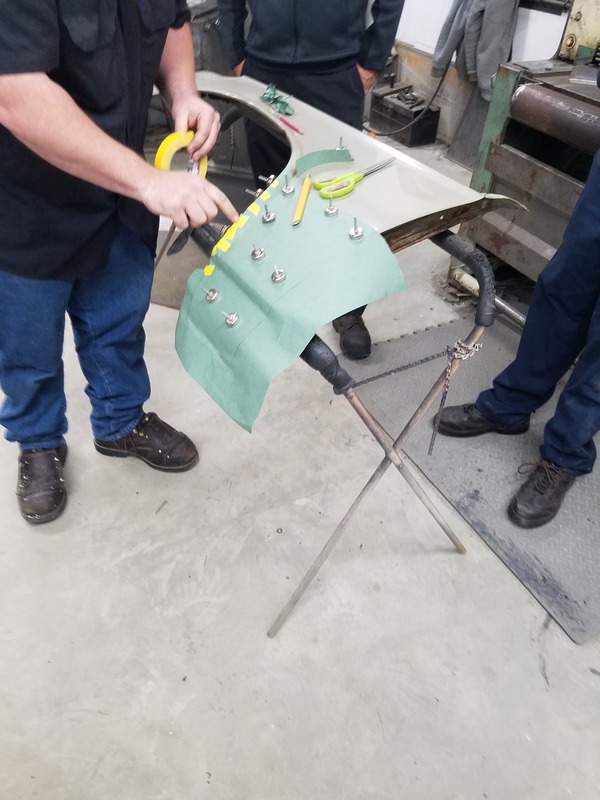 Last November I took a metal shaping class with Robert McCartney of McCartney Paint and Customs and another metal shaper, Pat Brubaker who is out of the mid-West. 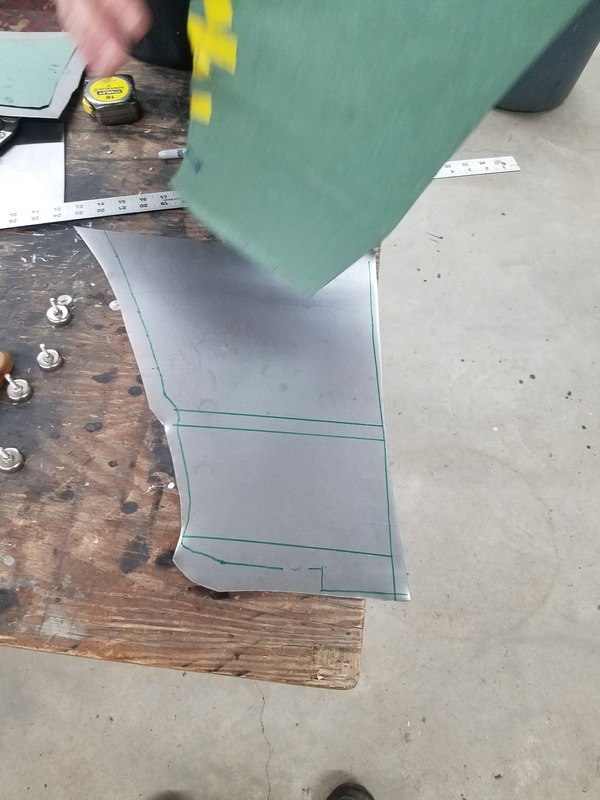 Robert's shop is in Southern Maryland and runs a class every year. It wasn't cheap but it was some of the best education I have received in a long time. These guys are incredibly skilled and talented. 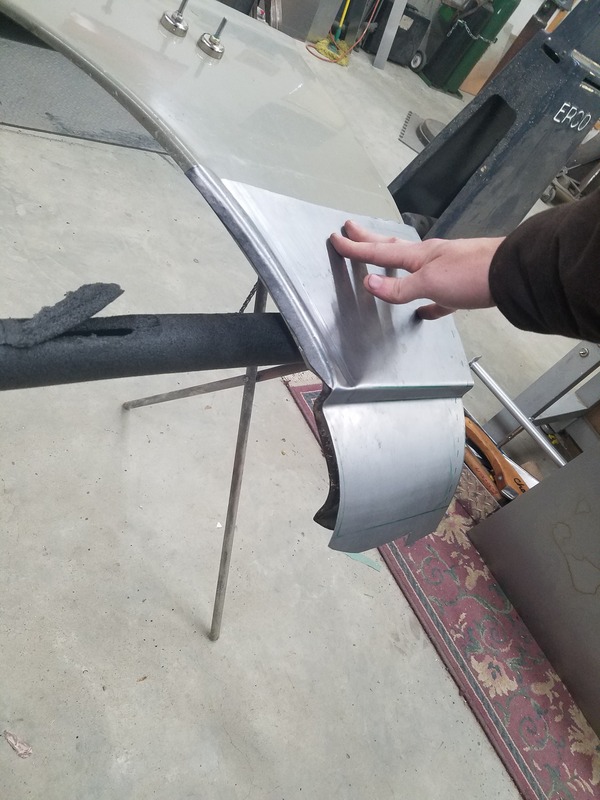 I hammered, rolled and bent up a lower patch for a driver side fender. I liken it coding. The immense logic is what is confusing. The difficulty is in its simplicity. It took me 2 days to make the panel. The instructors said it would take them just a few hours. 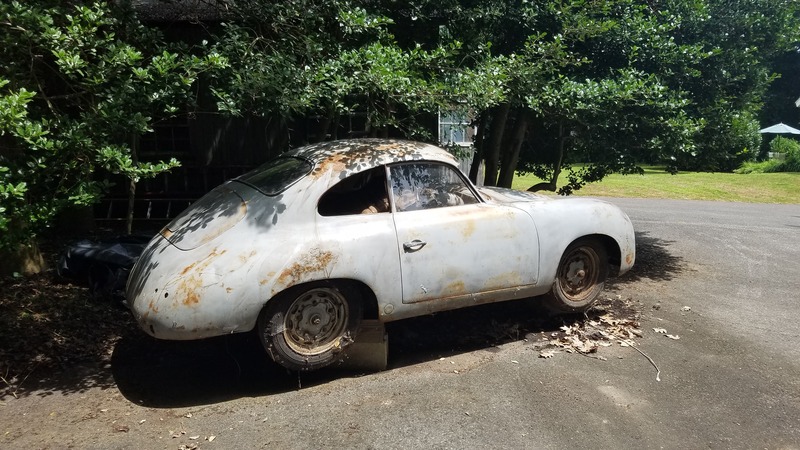 July 2018 – picked up a Porsche 356, Pre-A. Yup. And it's pretty much complete. It was outside for the last 30 years well wrapped under tarps, but now its in a nice dry garage, up on stands. 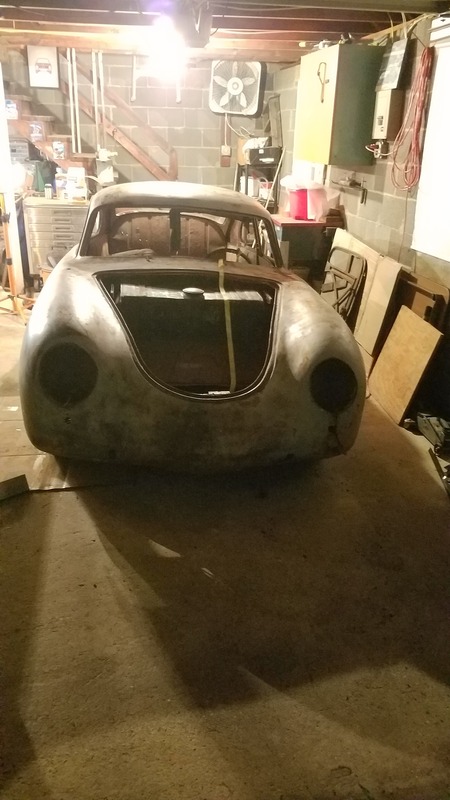 Floor needs to be redone and a bunch more, but this project does not get touched until the '02 is registered and on the road. This is my way of ensuring I do not have 2, half done projects and no money. It has also been a direct motivator to keep moving on the '02. I became a dad! She is awesome and perfect and will be a great shop assistant, President, F1 Champ, MotoCross Champ, plumber, electrician, welder, CEO, accountant, or whatever else she wants to be. I. Am. Stoked. I picked up some extra tools in that time as well. I found a Harbor freight English wheel on craigslist for 200 bucks. That was well worth the money. That has made metal shaping so much easier. The anvils were not machined super smooth but they do seem to be true. I took them to work and buffed out the rolling surfaces to a semi mirror finish. 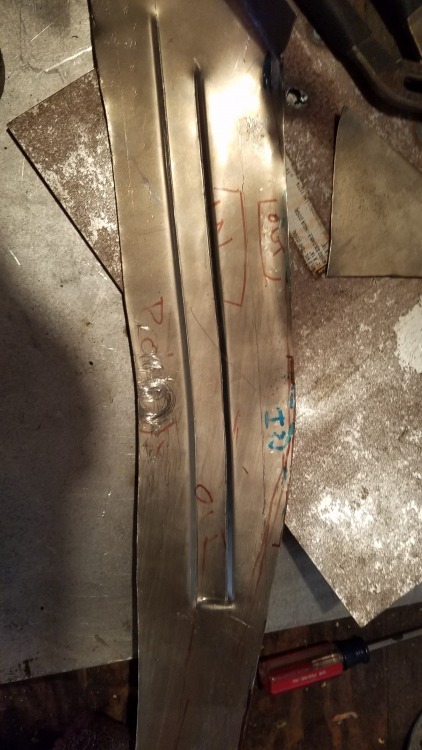 4130 is tough steel, so the buffing took quite a while. 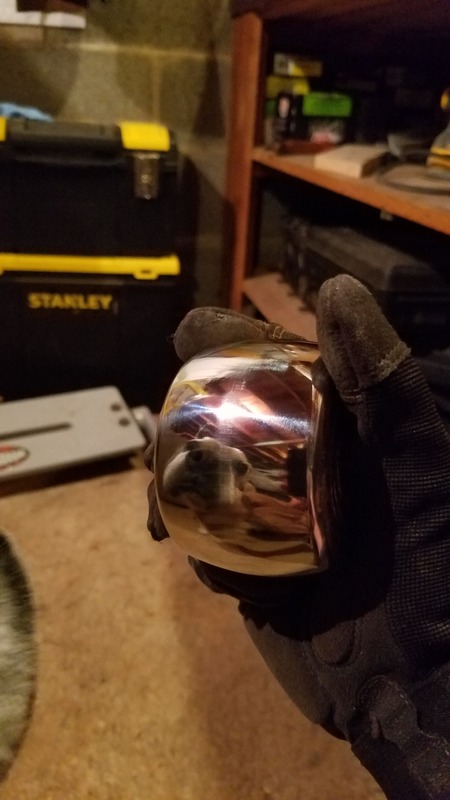 This makes working with metal much easier and the finish much nicer. 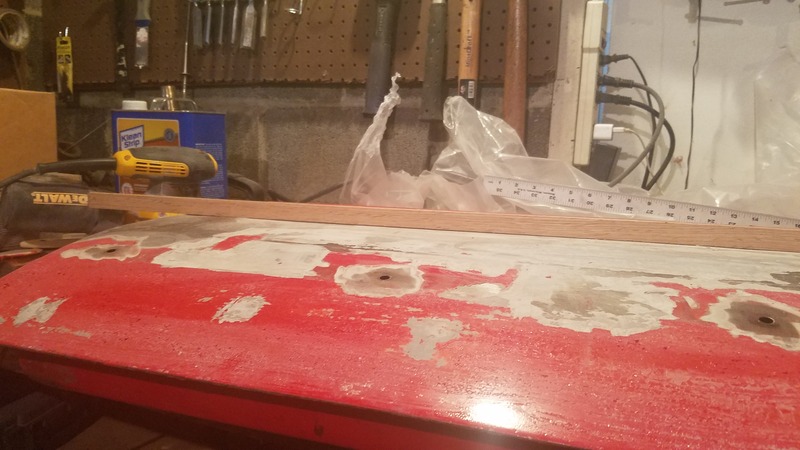 It makes the panel closer to paintable right off the bat because I'm not stuck trying to planish out all the little marks from the manual and hammer bends. I also picked up an Everlast 185DV AC/DC TIG welder from Home Depot. They carry them online. I have the Home Depot credit card so I bought it with a few other things and got 24 months 0% financing. I also asked them to match the sale price on the Everlast website and they did. So I got it shipped to my local HD for free, and it even came with a pedal, which is a rare win, apparently. I got a great No. 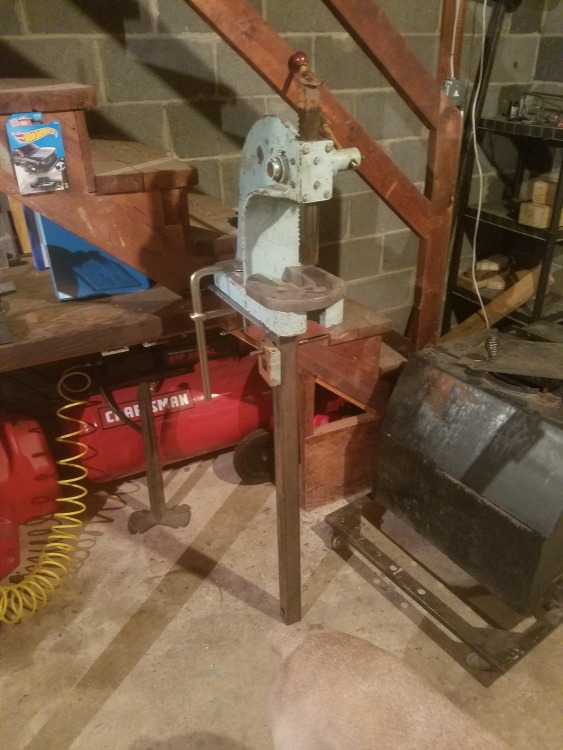 2 Arbor press from a a guy near Baltimore and a bunch of ball peen hammers and big chunks of steel both stainless and carbon. I've been using it all. 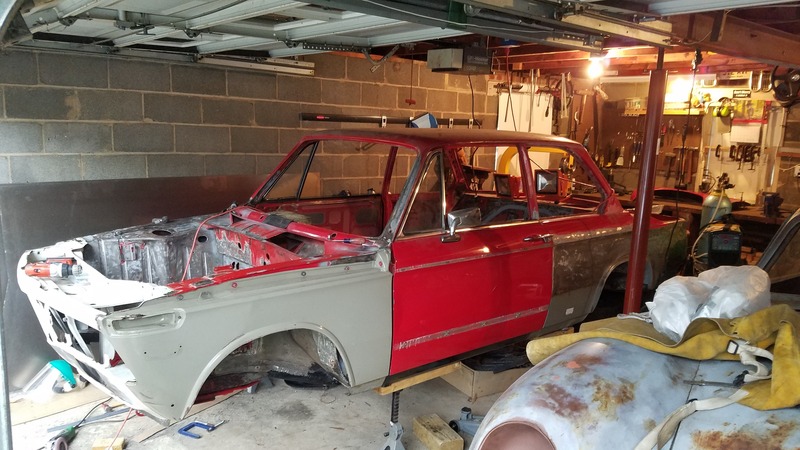 On to the build updates! I'll try to detail out the progress on the '02 without too much lost information. 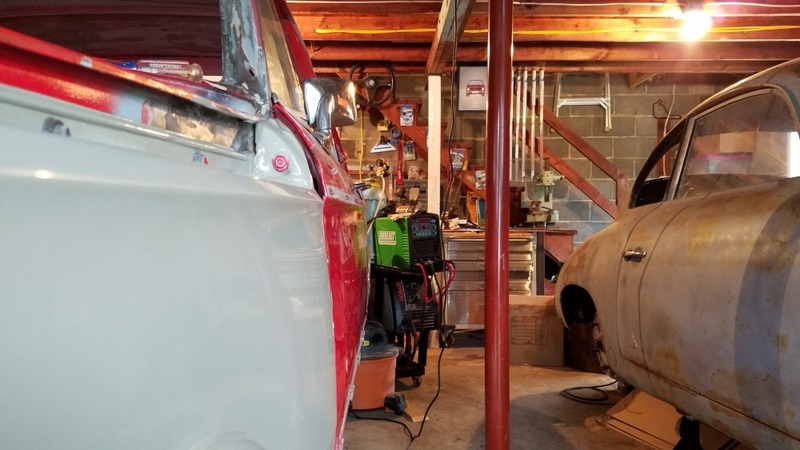 Last post was about the driver side rear quarter patch panel and the new shop. In my haste to do more visual body work, I put off replacing the inner fender on the rear driver side wheel well. That was a really poor decision. 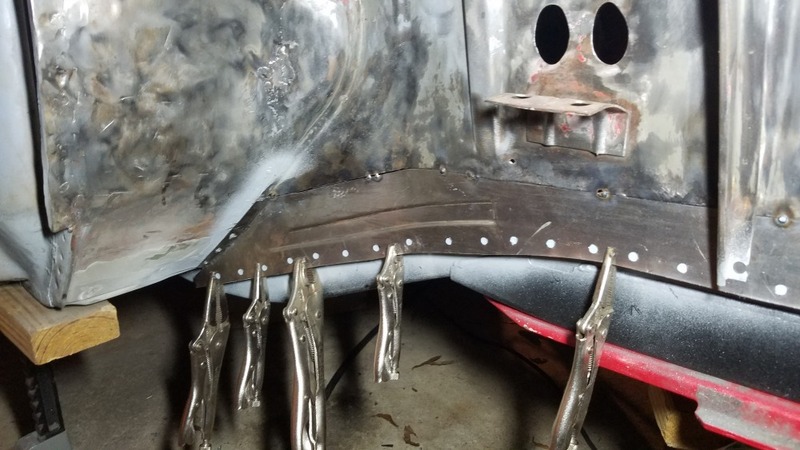 It was very difficult to fit and weld in the inner fender once the outer fender was already in place. This took a lot of extra time and was, honestly, a deterrent for getting in the garage. 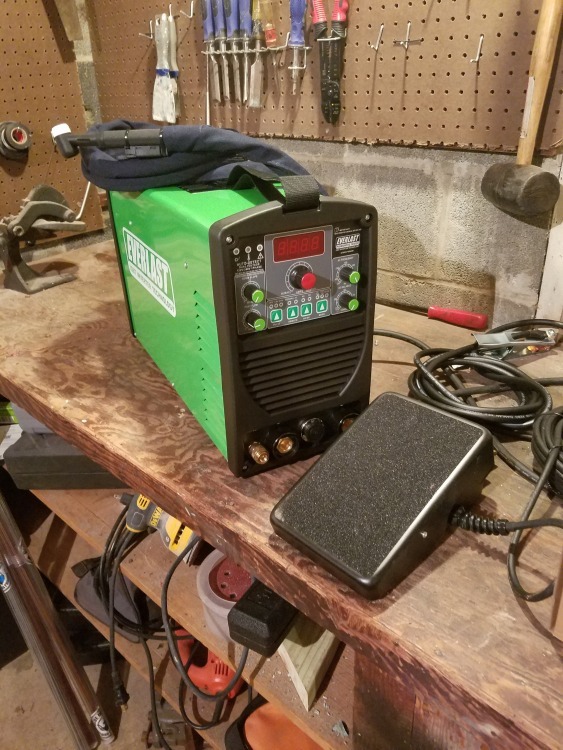 I did finally get it welded in, and with pretty good results, but it wasn't easy, or fun. Work inside out, not outside in. 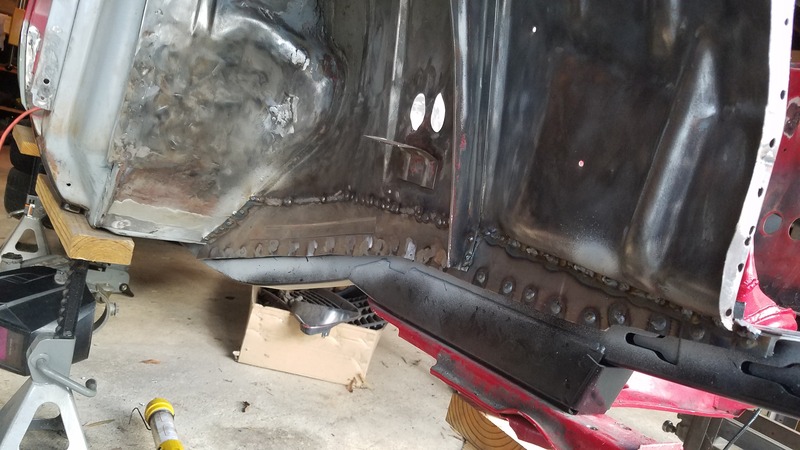 Once that was done I moved back to the front of the car and welded the upper firewall back in. I filled a few holes in it, welded it back in, and moved on. 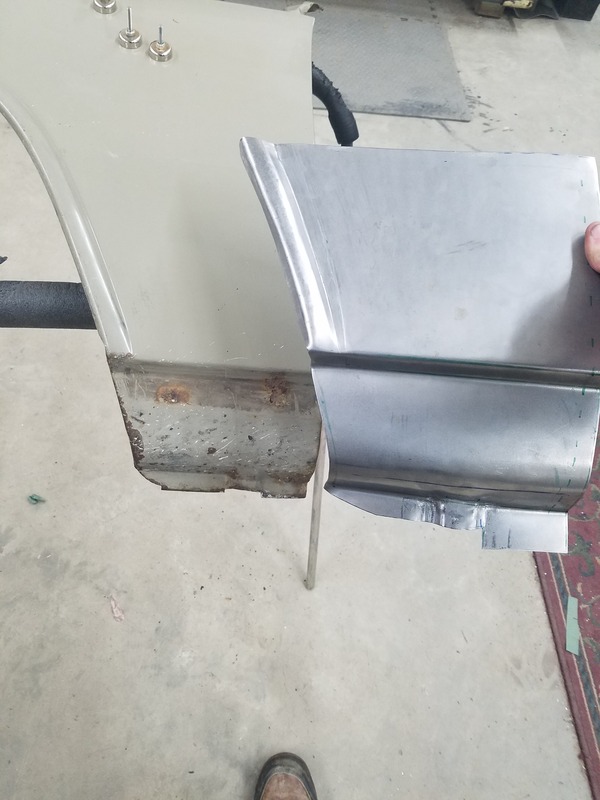 I cut off some metal on the support bracket that goes from the upper firewall back to the heater box cut away, so that had to be replaced as well. 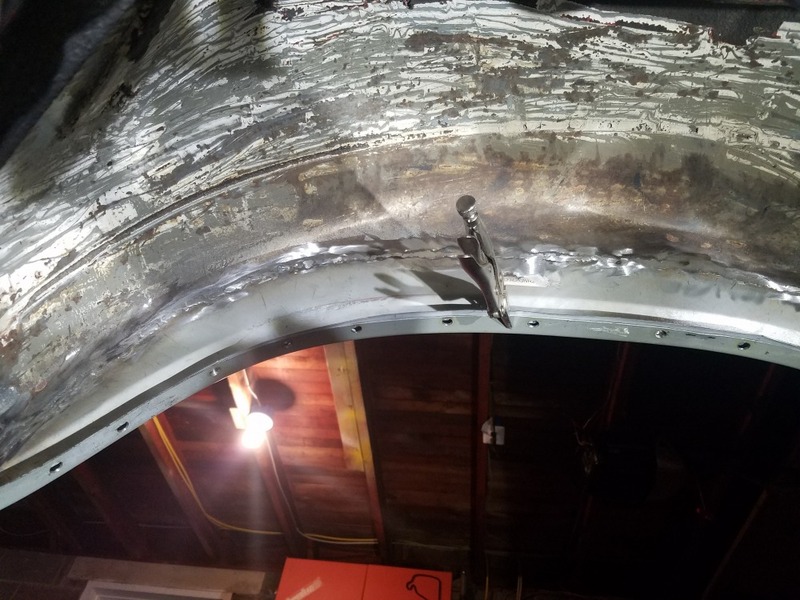 Next up was round two on my first repair, the lower part of the passenger inner wing. 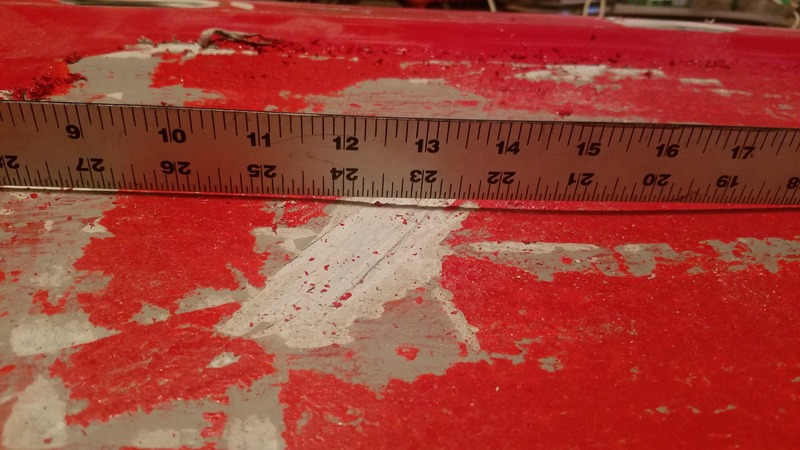 I cut out my original, flux core repair panel along with my homemade frame rail. I had a new frame rail from W&N so I decided to use it. I positioned my new frame rail per factory specs and tried to fit up my sub frame to double check. No good. Aligning pins didn't line up. I knew that the car had been in an accident or three, so I wasn't too surprised. 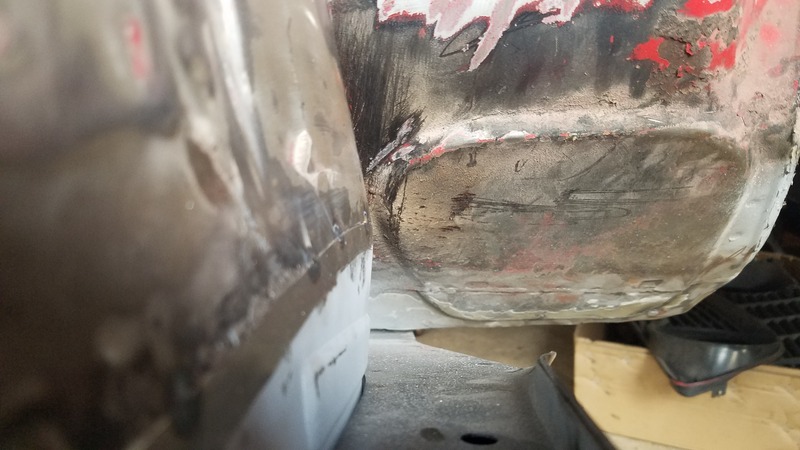 The front sub frame had damage, but its pretty stout, so I didn't think it was warped. A closer look however proved that it had racked about a 1/4”. which is quite a bit. Grice was nice enough to pull one out of his stash for me. A quick check with the new, color matching sub frame proved a good fit. 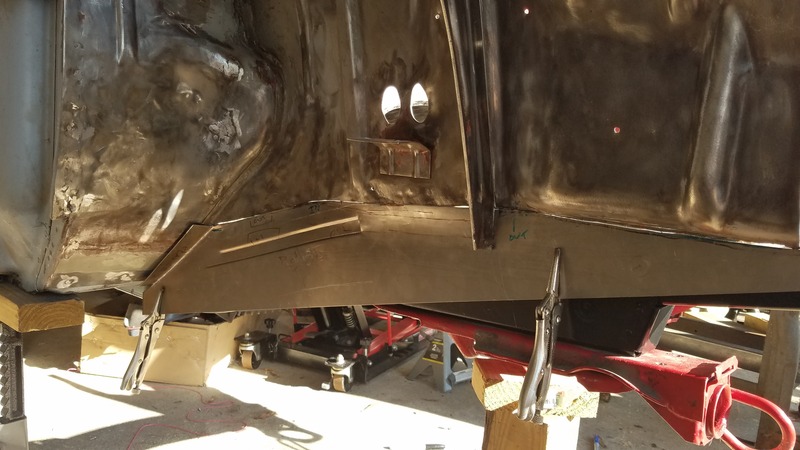 Frame rail aligned, subframe holding square, I started plug welding the frame rail to the passenger floor pan. Once that was in I moved to mocking up a patch panel for the inner wing. 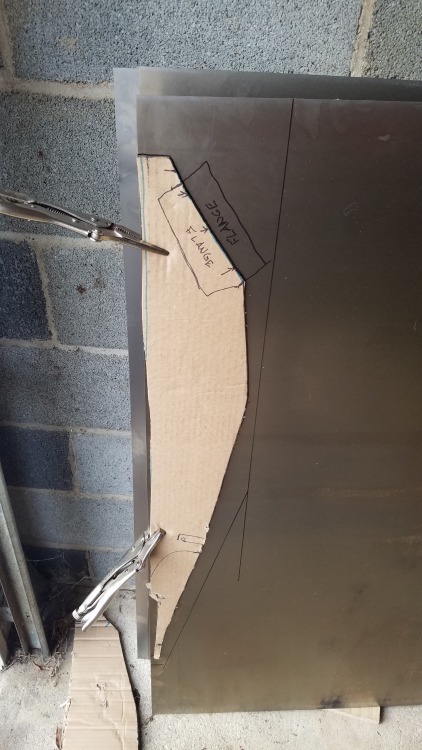 First out of cardboard, then transferring the rough template to 18 gauge sheet steel. I cut it out roughly with an angle grinder, then did more detailed work with my throat-less shear. Fit up was difficult because there were a lot of compound curves in this lower area. The English wheel proved to be a good investment. Trimming and fitting took a long time. I rolled in a structural feature to match (somewhat) the factory look with my bead roller. 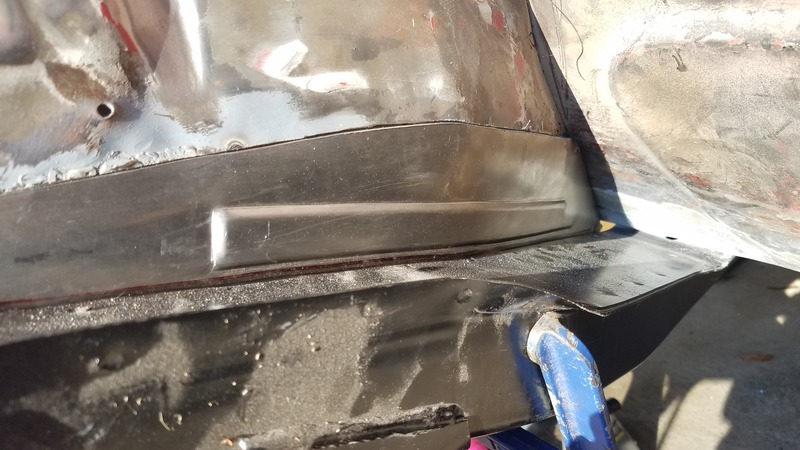 I filed down the patch panel to get pretty close to a line on line fitment, then trimmed the bottom and added 1/4” holes for plug welds. 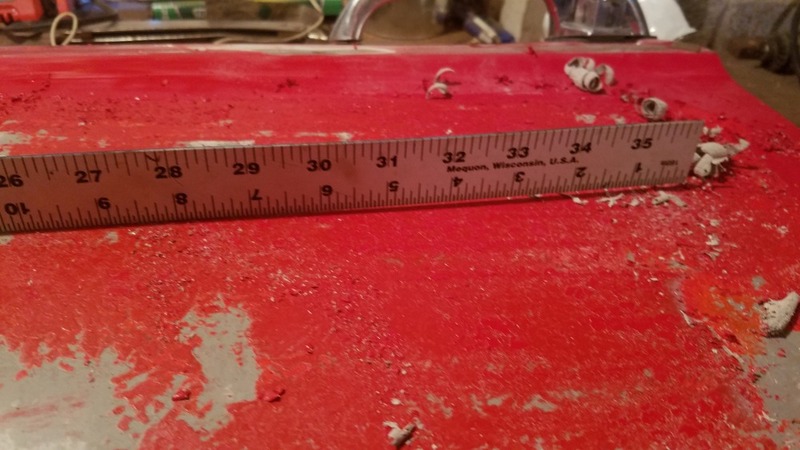 I had an old 1/4” drill bit so I ground the tip flat. I used this to clean out the paint under the hole for the plug weld. This helped ensure I had no contaminants in the weld. The panel was then welded in and welds ground smooth where possible. Thankfully, that was the last of the structural repairs. Next was to fit up the nose. 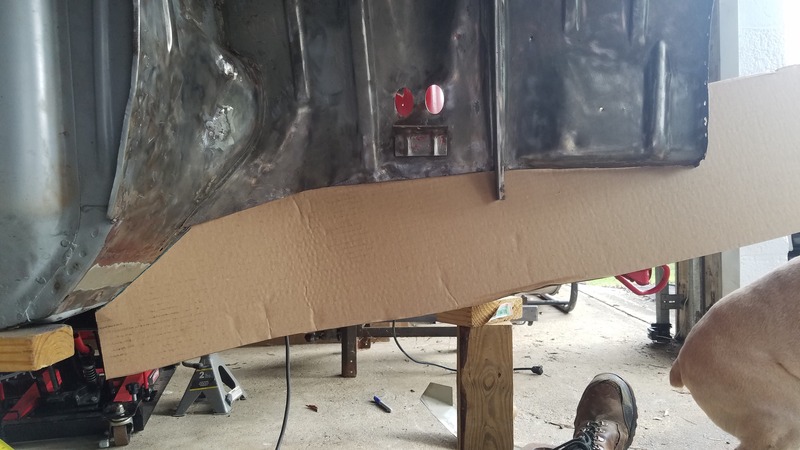 In order to do that, I wanted to get the fenders and doors on to make sure it will all line up before anything is welded in. I put on the fenders that Jim (jgerock) gave me and put on the doors. Initial fitment looked pretty good. There is something funky going on on the passenger side. I'm hoping it's a door hanging adjustment. 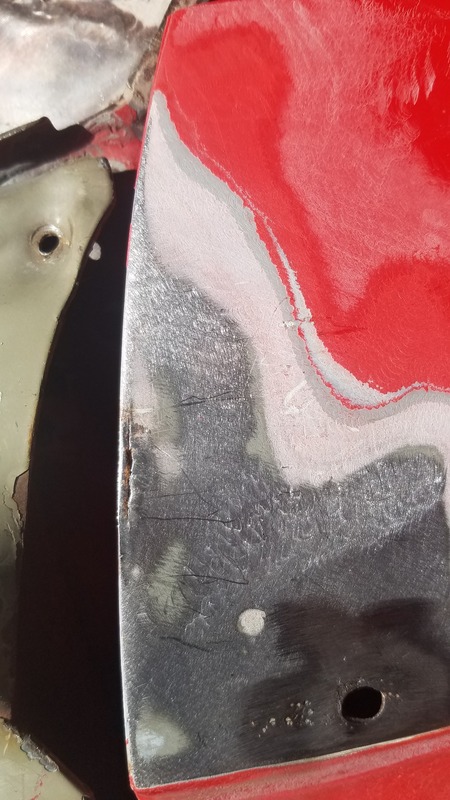 Bottom of fender collides with door when opening it. More investigation required. There was a huge dent in the driver door that I forgot about. I ended up bringing it down to bare metal and used some heat to get 80 percent of it out, I made a weld on slide hammer and pulled as much of the rest out as I could. Looks pretty good. 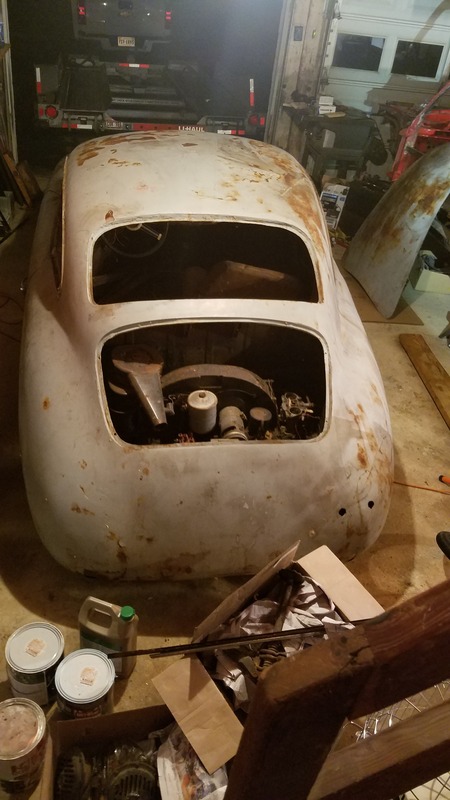 Will need to do some Bondo work to get it right. There was a small crack near the top of the door, where another dent was. I hammered out the dent then TIG'd up the crack. Smallest tungsten I have is 3/32”. 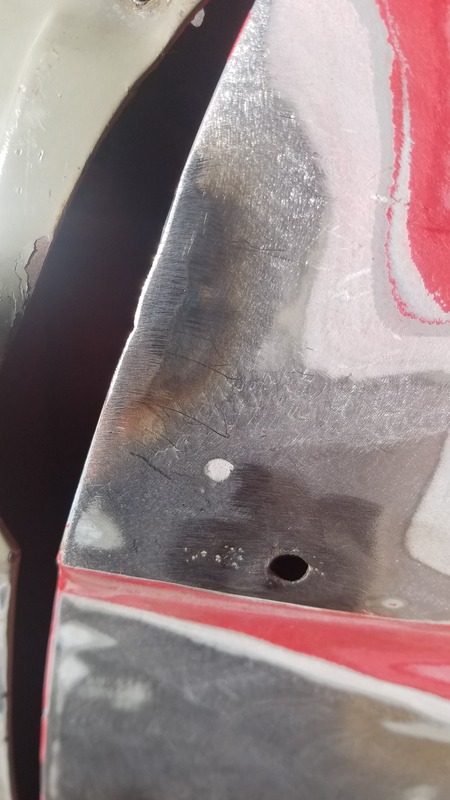 1/16" would have been better, as I likely wouldn't have burned in the undercut at the edge. 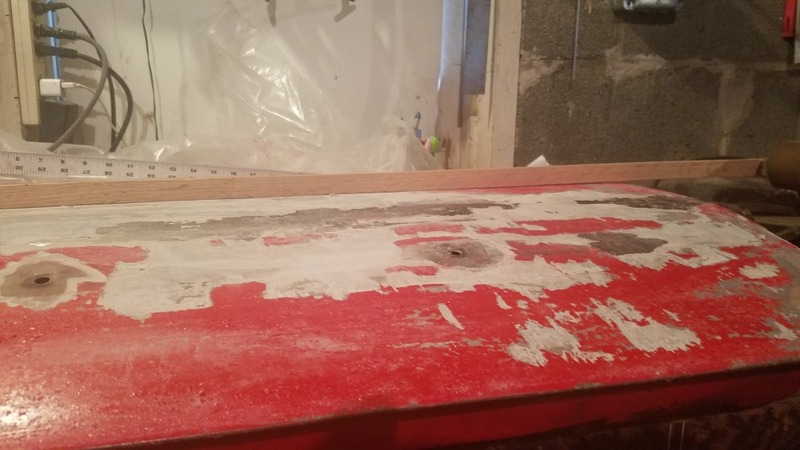 The door skin was covered in Bondo and was still pretty warped. I decided to pull the paint on the door. I am using paint stripper on the door skin. If I keep it away from seams and holes I should be able to eliminate any residue issues when it comes to paint. 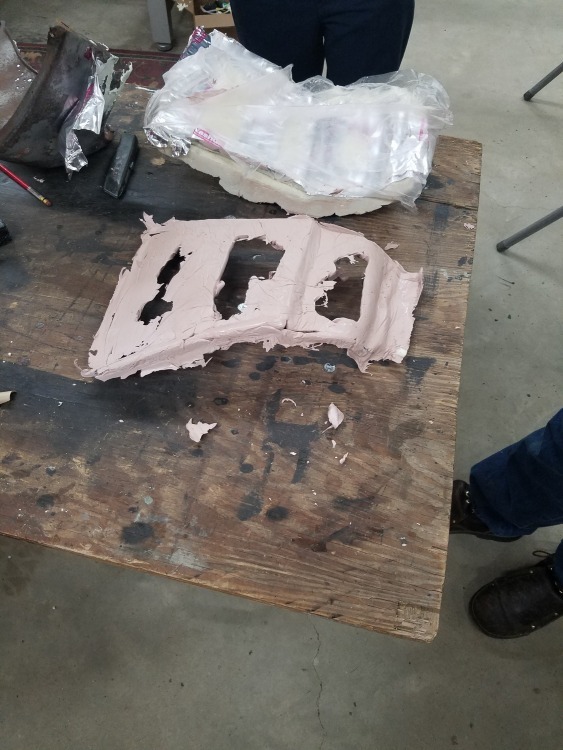 I found that after pulling the Bondo, the door had a better shape. I'm not sure why. It still needs working but its a start. A shrinking disk will be useful, or a terrible idea. Are you watching "Project Binky" for inspiration? We need more details about your new family addition!!! Congrats. Daughter's name and other birth specifications (knowing you won't have to email BMW Classic for this information). Are you both getting some sleep? When can we see you and your family again? MLytle and I are more "available", but afraid we're not so good at babysitting duties. Hmm Jerry Gallo. Wasn't that the supposed name of the lawyer on My Cousin Vinny? Jim, you are right about Jerry Callo. It's a great scene. I'll send details of the new addition. I am not. I had to look it up because I didn't know what it was. That looks like one heck of a project!